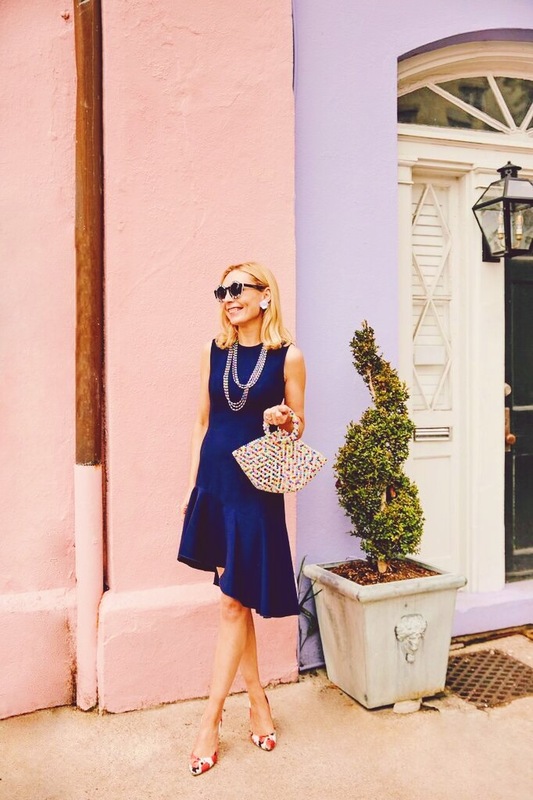 Beckett Boutique | King Street, Charleston, SC » Style Secrets From The Vintage Inspired Jewelry Designer Charleston Can’t Get Enough Of! Charleston has rapidly evolved into a melting pot of creative minds making their mark as successful entrepreneurs. Here in this historic city, inspiration strikes many and artistic talent can be spun into a distinguished career. 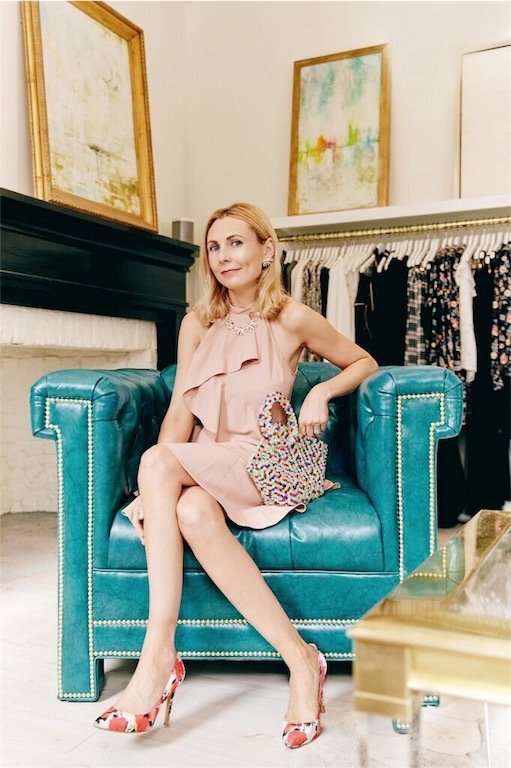 Deirdre Zahl, owner of Candy Shop Vintage Jewelry store, jewelry designer extraordinaire, and super mom, has taken her passion for vintage jewelry, unique creativity, and strong business sense to create something that we simply can’t get enough of. 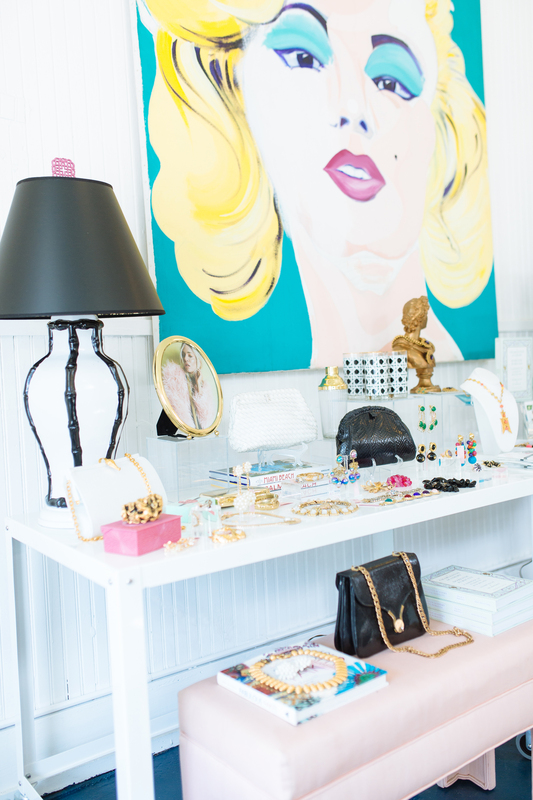 Her bright and happy shop is as whimsical and alluring as the jewelry itself, and from one of a kind vintage pieces to Dierdre’s own designs, the glitz and glamor of her baubles is captivating. As curators of fashion, we love when something or someone can serve as unexpected inspiration. On a sunny cool day in January, we met Deirdre, and her personal style was just that, inspirational. Wearing a multi colored fur coat paired with a monkey printed pleated skirt, Deirdre breezed into Beckett with a huge smile and a sense of style that stopped us dead in our tracks. Much like her jewelry, her take on fashion is distinct, unique, and just plain awesome. We were excited to get to know our Upper King Street neighbor who’s reputation for coolness and trendsetter precede her. Be That Kid In The Candy Store | Follow Links To Shop Her Jewelry! What first attracted you to vintage jewelry and why have you fallen in love with it? When I first starting collecting vintage jewelry (10 plus years ago) there was a shortage of high end statement costume jewelry available. I would find these great, whimsical pieces for next to nothing that didn’t look like anything available to the contemporary fashion market. 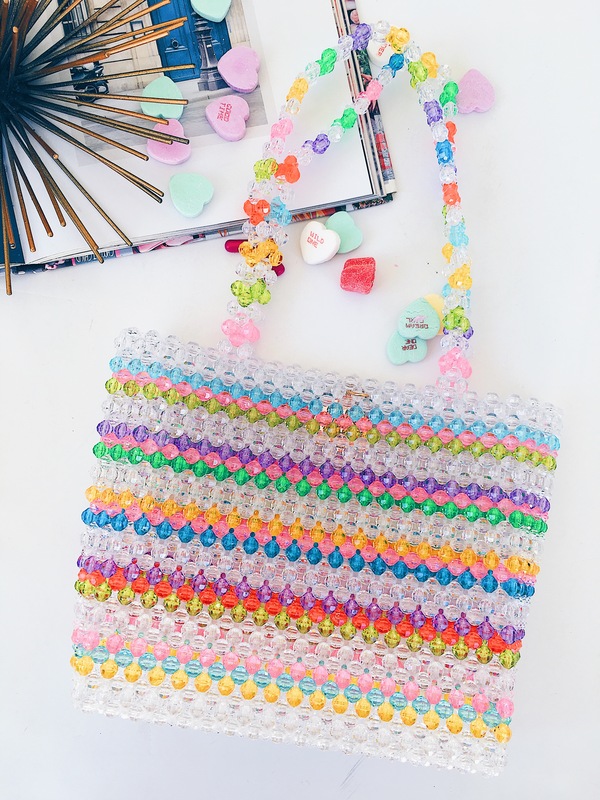 I just thought they made great accessories that put a unique spin on anything you wore them with – great conversation starters. And it used to be so much cheaper, and less collected than it is now. Is there an era, a period in History, or style that you gravitate toward the most and why? I love the tight, feminine lines of the late 50’s early 60’s – small, close set rhinestones, bows, delicate bracelets. 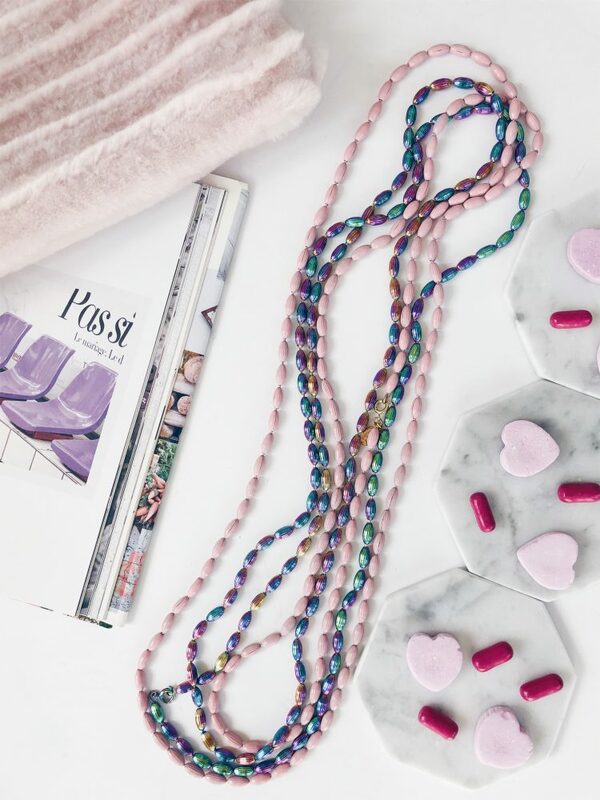 But equally, I love the big, bold, borderline tacky pieces from the 80’s where jewelry designers started experimenting more with new materials like lucite and even lacquered paper and heavy glueing. Tina Chow was the most insanely talented jewelry designer of the 70’s and 80’s with striking pieces made of lucite, crystals and even leather cord and her life story is really sad and poignant and really reads in her work. 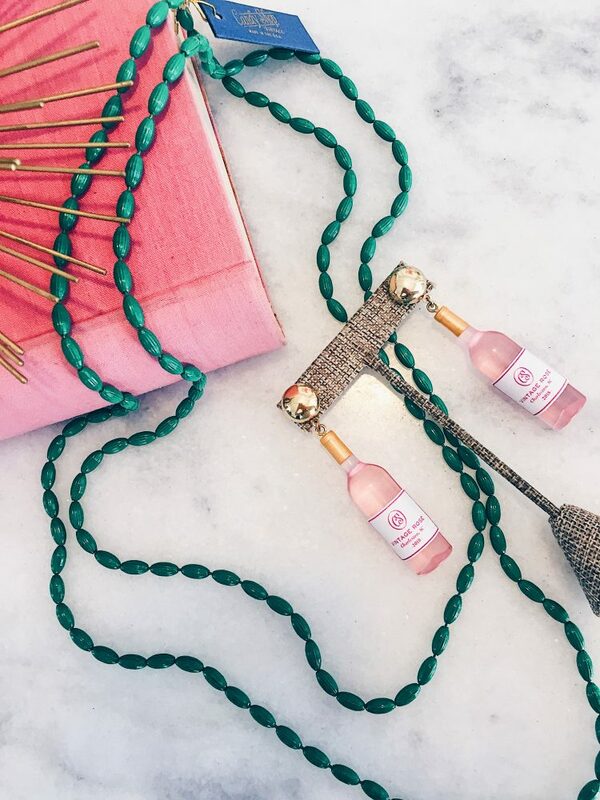 Shop Her Signature Charleston Rice Beads! How do you begin your creative process for designing a new collection of jewelry? I tend to work in themes – that’s just how my brain works. I get inspired by travel, events, or certain eras. My very first collection was Egpytian revival – very late 70’s/early 80’s when the King Tut exhibit was traveling the country and Egyptian inspired jewelry had a moment. More recently, I did a “Fantasy Garden” collection in partnership with a New York jewelry company – CINER – with unicorns, elaborate floral cuffs and rhinestone encrusted bees. Always the elements of whimsy, fantasy and playing with scale. 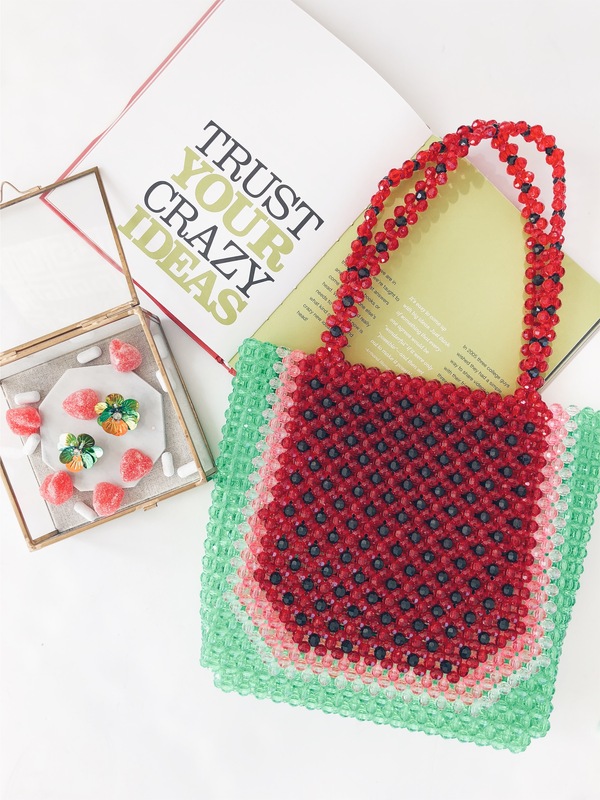 My business is not trend driven – I am really not out there trying to keep up with trends – but to offer things that are new and unique but also nostalgic. What is your favorite piece that you have designed, & what is the most special piece of jewelry you own? I am a huge fan of our first cocktail charm bracelet – The French 75 cocktail bracelet (we will introduce a new cocktail this spring)! This was inspired by a “Martini Charm Necklace” (fine jewelry) from the Bunny Mellon auction at Sotheby’s (2014) . I thought it was so clever and unique, though a French 75 – a vintage champagne cocktail – is more my speed! As far as the best piece I own – it is probably a vintage Kenneth J. Lane runway piece called the “Twin Lions Necklace”. It is one of his most famous and most collected designs. And it is extra special since he passed away recently. I loved all of his jewelry! 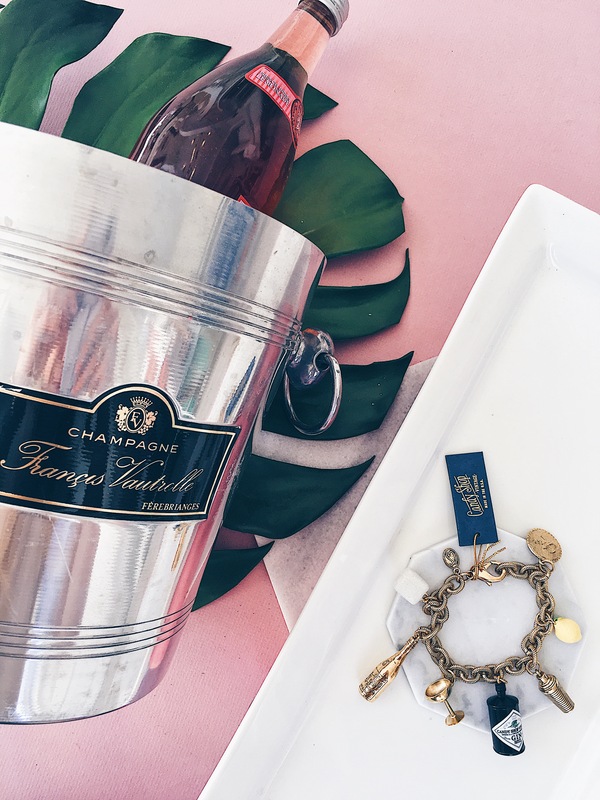 Shop Deirdre’s Favorite French 75 Cocktail Charm Bracelet! 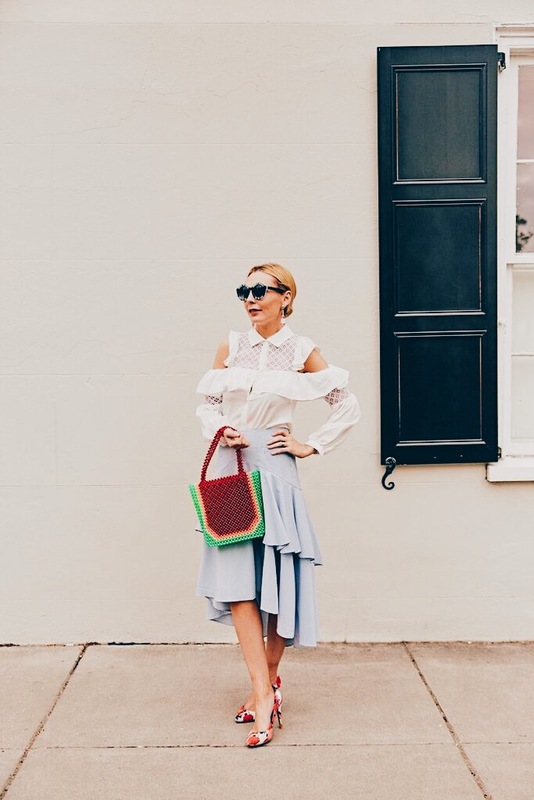 Stylistically, you remind us of our ALL TIME favorite blogger, Blair Eadie – Who is your style icon? Well that is a huge compliment because I think she is incredible. I love her style. I am also a huge fan of artist Daphne Guinness. She’s a designer, performer, model, art collector… the list goes on. Her style is just unreal – her look is so striking, so unlike anyone else’s out there (although I think she’s influenced quite a few people). It’s definitely edgy and extreme but always breathtaking and exciting. Shop Our New Obsession Here! Shop Our Obsession Number 2 Here! In a fashion world increasingly portraying minimalism or “I just woke up like this” blase, we adore that your personal style is anything but mundane. Somehow your looks are artfully curated yet playfully engaging. You balance ultra femininity with tons of personality and expression! 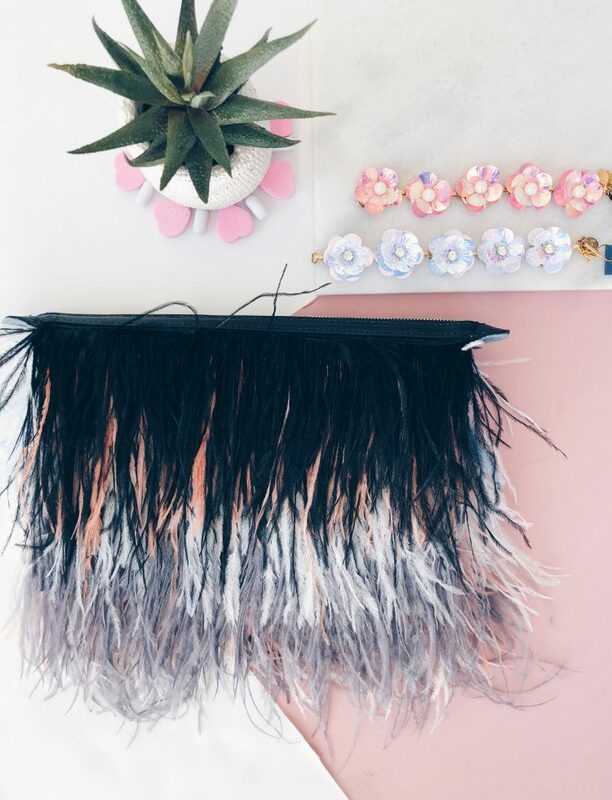 Give us 5 shopping/styling tips on how to dress with your editorial whimsy! I guess being a Mom that’s sort of the look you have on at home most of the time, so it’s not what I am trying to emulate when I am out in public or at the shop selling jewelry. 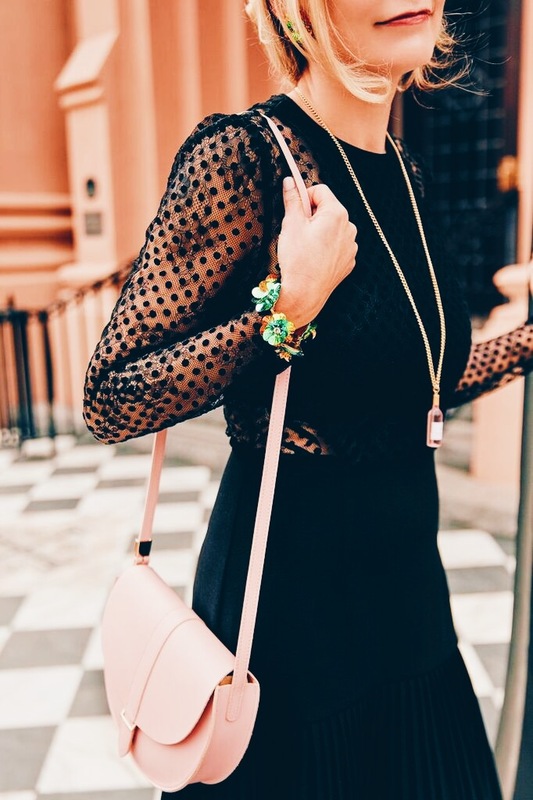 1) Accessorize anything not currently trendy or available – purses, jewelry – sunglasses that have some color, shape or whimsy. 2) Pair things or materials that are edgy with things that are softer and feminine. Leather (or pleather if you will) with cashmere, etc. Jeans with lace. Converse with red lipstick. 4) As your friends for help! I always think it is interesting and helpful to get other people’s take on what works on you. Everyone is so self styled and about controlling their own look – it is good to get out of your comfort zone! 5) Vintage furs go with everything! 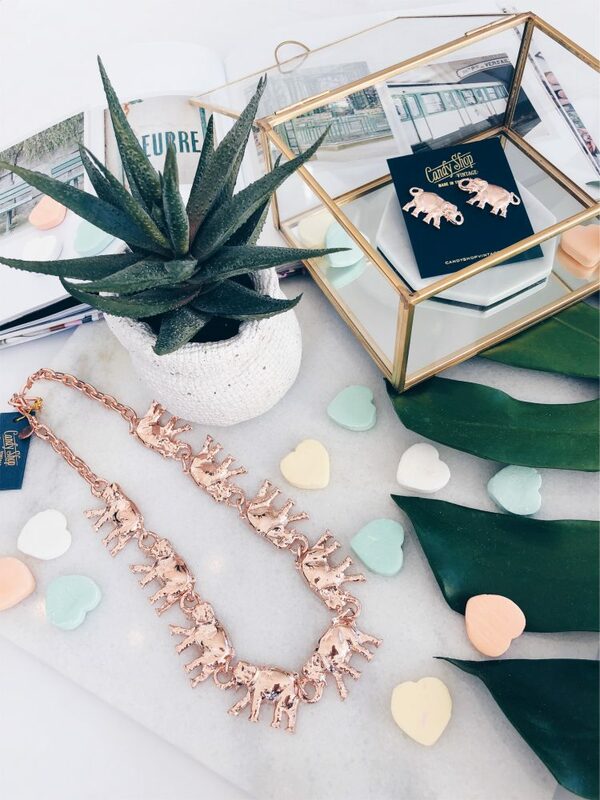 Shop Elephants On Parade Necklace Here! You are both a successful creative designer and have fantastic business acumen – how do you balance those two worlds? I don’t sleep a lot. And I ask for help all the time when I don’t have the answer! I have received great business advice from some very successful women whose opinions I value highly. Each time they have given me an answer to a problem or a perspective I could not have generated on my own. And creatively, I just have to make the time and space for it. Sometimes just forget the to do list, the list of bills and people to be paid and work on just concept and design. 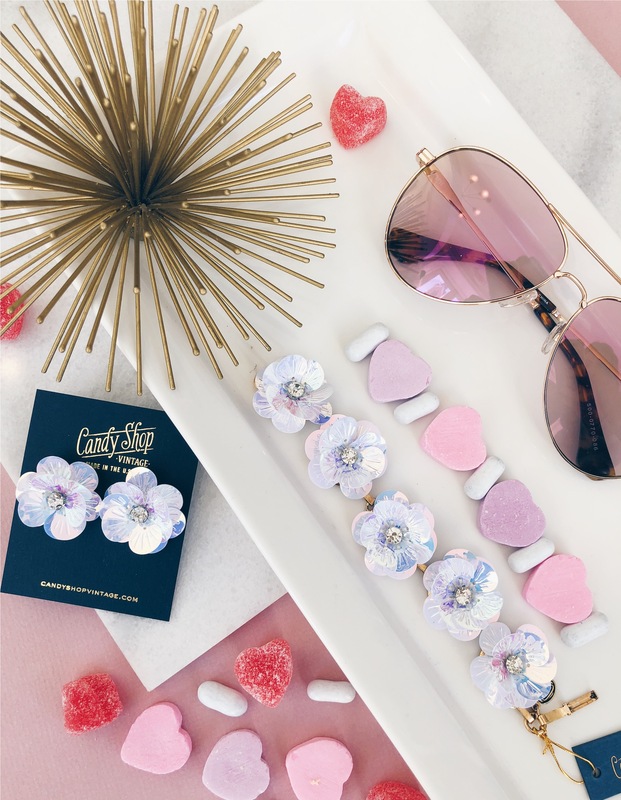 Shop Charleston Vintage Rose Earrings! We notice a poodle motif in a lot of your designs and images, is that your spirit animal?! I have a standard poodle named Birthday. The poodle is used in so many vintage handbag, clothing, jewelry designs. My poodle looks just like a 1950’s poodle lamp that has sprung to life. Finally, what is your favorite activity to do in Charleston with your daughter!? She takes ballet Saturday mornings and I love spending the morning with her, dropping her off and picking her up in her adorable ballet oufit. Then we go to brunch – her choice – either Early Bird Diner (her favorite) or Waffle House (mine) and I take her to the store or for a walk on King Street. We also frequent Sugar bakeshop. It is so lovely just to sit in their little garden and eat cupcakes together.